Over the past few months, I’ve been working hard to get my family to eat better. 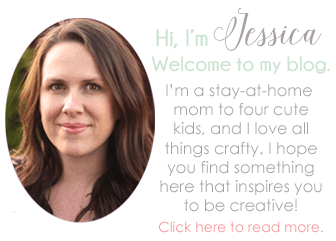 I pack my kids’ lunches nearly every day, and it’s always the same old things over and over. It’s difficult because there are only so many things that you can pack to stay fresh in a lunch box, so I’m always looking for new school lunch ideas. 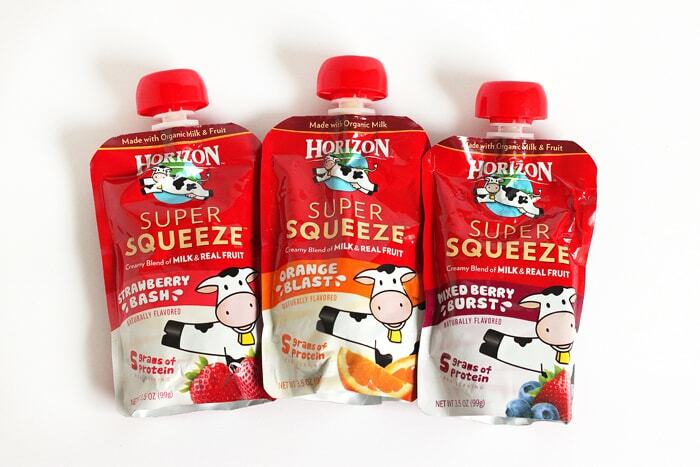 That’s why I’m excited to be trying out Horizon Squeeze Pouches and Horizon Kids Aseptic Milk Boxes. 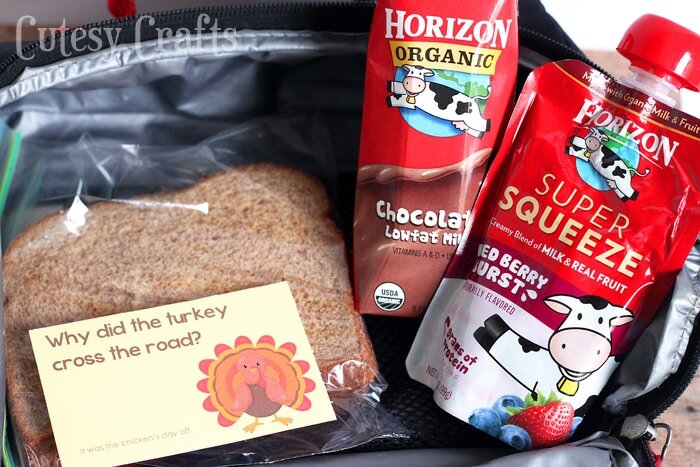 These products definitely open up some new options for packing school lunches! 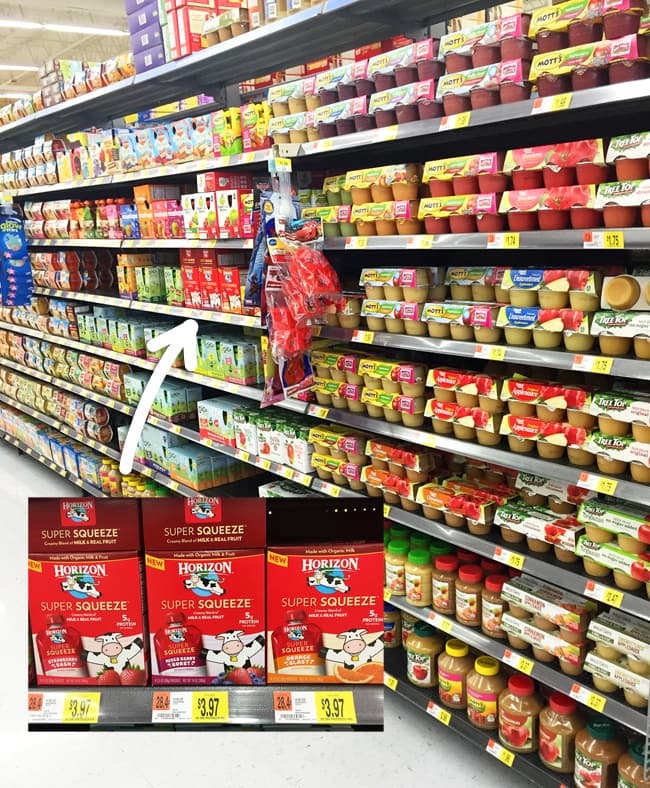 I headed to Walmart to pick up some of the Horizon Fruit Pouches and Single Serve Milk Boxes. 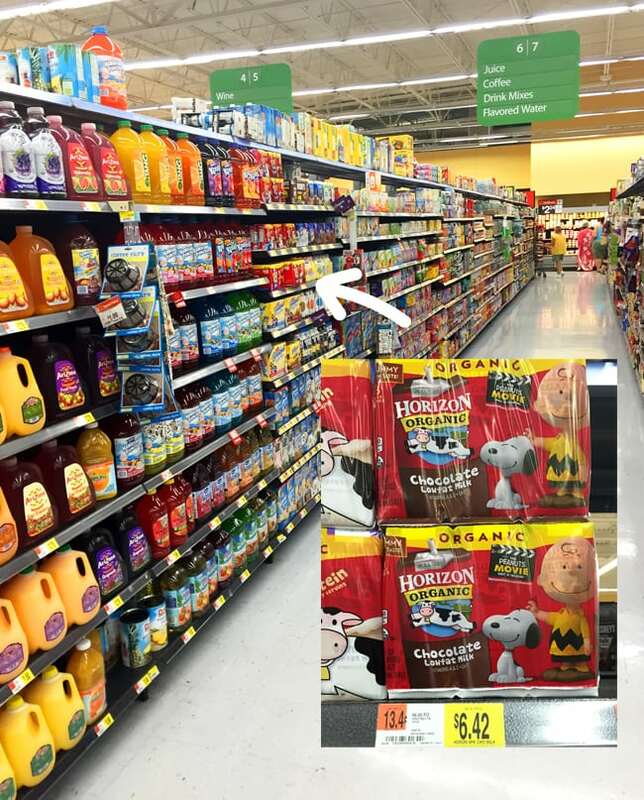 Keep an eye our for demos of the Horizon Squeeze Pouches at participating Walmart stores between 11/5/2015 and 11/8/2015. The milk comes in regular, vanilla, chocolate, and strawberry. We tried out the chocolate, of course. It was yummy! The milk has 8gr of protein per box, is an excellent source of calcium, has no high fructose corn syrup, and the chocolate is flavored with organic cocoa. 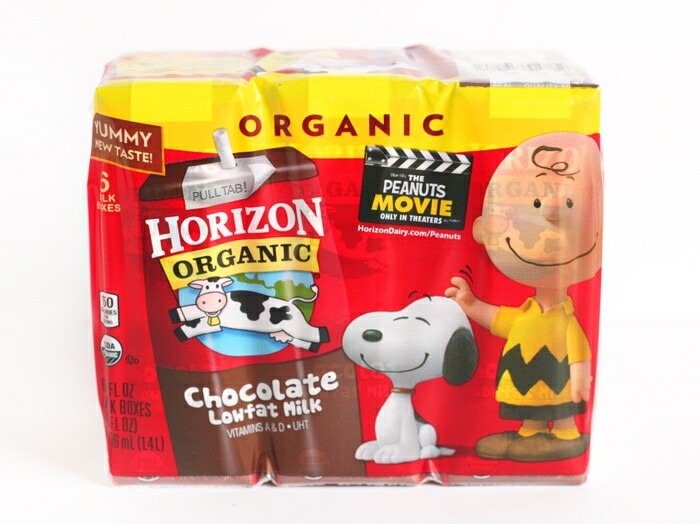 Right now, there is special packaging for The Peanuts Movie that will be in theaters on November 6th. The squeeze pouches come in strawberry, orange, and mixed berry flavors. Each pouch has 5gr of protein and is an excellent source of calcium. They are a nice, creamy blend of organic milk and real fruit. 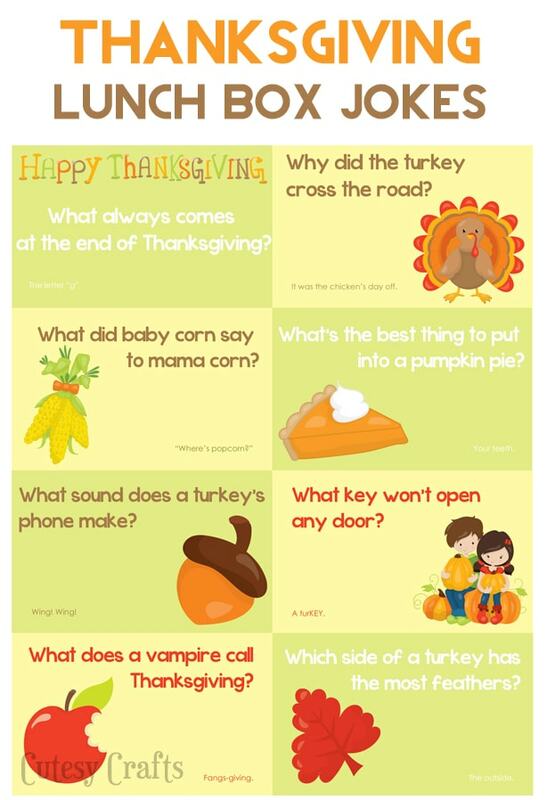 To make lunch a little more fun for my kids, I created some Thanksgiving lunch box joke printables. Download the free printable here. You can cut them up and put them in their lunches as a little surprise. My kids love jokes, so I know they are going to get a kick out of these! We bought Evan a joke book for Christmas last year, and all he did for two days was tell us joke after joke. It was great! < That was sarcasm. 😉 Why did the turkey cross the road? It was the chicken’s day off! Haha! Love it! 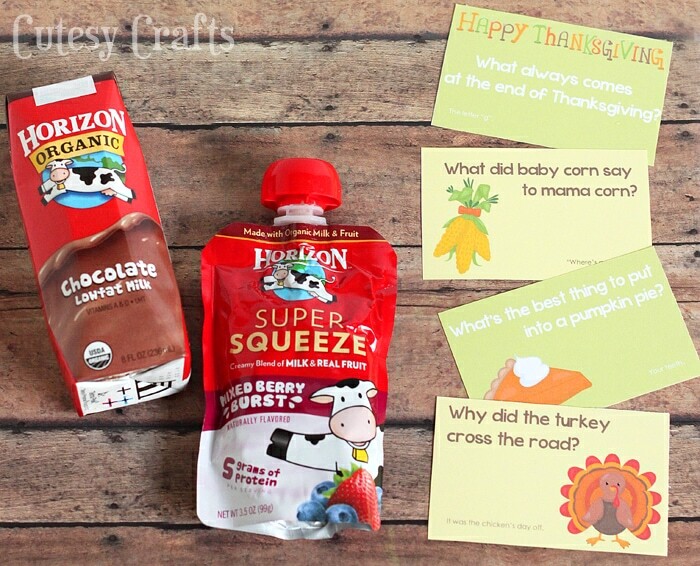 The kids really loved the Horizon products, and even my husband grabbed some for his lunch. I really love that I can pack the kids’ lunches quickly with food that has ingredients that I feel good about! Got any great school lunch ideas? I’d love to hear about them! Be sure to check out Horizon for some lunch inspiration. Thank Emily! I had fun making it.